Russia Mocks EU For Backing LGBT Rights - Joe.My.God. 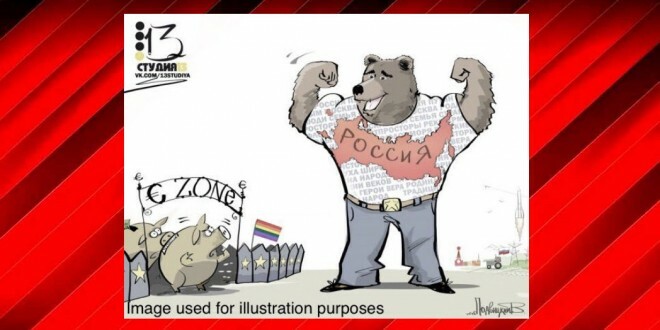 Yesterday the Russian embassy in Britain tweeted out the above cartoon which depicts Eurozone member nations as pigs cowering behind a barricade. The pigs are doubtlessly a reference to the acronym PIIGS, which was used by economists when EU members Portugal, Ireland, Italy, Greece, and Spain began struggling to refinance government debt during the banking crisis that started in 2009. Not lost on Twitter users is the rainbow flag flying over the barricade, which is an implication that the European Union’s continuing financial woes are tied to their support for LGBT rights. 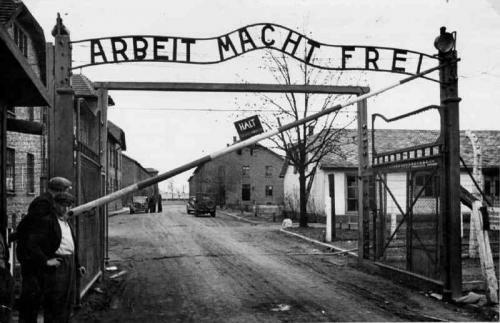 The sign over the Eurozone entrance is also rather evocative.